Welcome to our school! Have you been here before? Hope not! This school was founded to respond to the epidemic of birds in schools. Birds that cause children to be suspended from their regular school for one day. Those birds. When this emergency situation occurs, the school is open for business. All inmates…er…students of the school are required to put on their usual school uniform at the usual time, they do not get to lie in bed. They are required to ride the bus…er…van as usual. After the warden…er…MOM (Mistress of Miscreants) drops off the children that do NOT have wayward fingers, the MOM and the students WITH wayward fingers return to the school to begin their day. At MOM's School for Children with Wayward Fingers, we believe in closely replicating the school day as possible. All school work that is sent home will be performed sitting on a hard chair at the kitchen table, to get that good ole school atmosphere going. Incorrect answers are not encouraged and all homework WILL be gone over by a certified MOM. All incorrect answers are erased and gentle guidance is provided for learning how to answer correctly. We are not too strict at MSCWF. We believe in allowing a few breaks during the day, all accomplished in the child's room, with no television or internet allowed. Lunch takes place at the same time, with recess accomplished in the room environment. If homework consists of coloring posters, this work may be accomplished with the aid of music played through personal electronic devices. If the child finishes all the homework sent home for that day, then the MOM has a choice. If she feels the student understood the homework well, the student will return to the room environment for the rest of the school day, there to pass the time as best they can, with bathroom breaks, of course. Otherwise, the MOM has complete authority to download additional free worksheets from reliable online sources. A good attitude is a must for the student of MSCWF, because the period of time spent in the room environment may be extended as the MOM feels necessary. Softball games, practices and such like activities are a privilege, not a right, these privileges may be lost if the attitude is not good. A good attitude will gain the child the privilege of playing their portable electronic gaming device during breaks, as long as the games played are educational in nature. Listening to corny jokes without groaning too loudly and attempting to laugh as best she can…we do understand that this is not always possible. Answering seemingly random questions with patience and gently redirecting attention to the work at hand. Refraining from stamping or other distracting activities until the child is safely in the room environment. Refraining from television watching unless the child is safely in the room environment. Refraining from shopping or other enriching (or impoverishing as the case may be) activities while school is in session. While MOM's School for Children with Wayward Fingers is an equal opportunity educator, by examining our statistics we have found that the greater majority of children requiring our services are male. Why, we do not know. If you are interested in starting up your very own MSCWF location, we have franchise opportunities available! Call 1-800-NO-BIRDS from 9 AM to 2 PM EST or email us at BirdsRNotUs@youhavetobekidding.com. You are so funny. I wish more parents had your view on this type of student. OMG, Janine, this is just FABULOUS! I am, however, most thankful that furchildren are incapable of having wayward fingers…. LOL! Jan – you are a hoot!! I believe you are on to something!! you could start franchises of these schools- this may be your calling!! Can I send you my 19 yr old? I, too, wish that more parents took the approach that you do! Geeze, do you have a franchise for mouthy teens/young adults. Something with lye soap perhaps, gray tape, anything? Desperately in need! Great job Janine! I think your wayward finger child may only need 1 session of your school to right his ways. I am taking notes you know, I may need to implement this school at my house before the school year is over. Have a wonderful day!! HA HA!! Hysterical for us, probably not so much for you. Can you please share your “reliable online resources” for the free worksheets? OMG!! I check in on your blog daily and I always get a chuckle with your posts and I love your creativity. I laughed so hard I almost…Well, that you don’t need to know. You should be writing these things in a book to be published! I have also found that planting several flats of flowers in the front yard flower bed for all to see is considered additional homework. (especially as the mom of boys). OMGoodness! This was awesome! My DS hasn’t learned about that bird yet but if/when he does I’ll be sure to enroll him in your school! You are truly my hero! I teach Grade Seven and have seen my fair share of these students:) Believe me when I say that my own little boys will be attending one of your schools if the need ever arises! Such a funny post. I hope you will be done with your Sub teacher fonctions soon! Poor Jan- I feel for you!! Hang in there!! They get it eventually- or so I’m told………. OH! MY! GOODNESS! This one takes the cake – I think I’ll post this one at school, although if kids’ (& their parents) haven’t figured out wayward fingers by high school, I’m not sure they EVER will! What an absolute hoot this post was! Mom of MSCWF: I was most interested in applying for a position in your school. As an experienced MOM of adult children I have the necessary qualifications but wish to learn more about your humor. Jan, thank you for your wonderful sense of humor and sharing your family with the blogging world. Too funny Janine! While I have not experienced wayward fingers with my male-type children, mouthing off happens. I have found, in addition to homework and being sentenced to the room environment with no personal electronic devices, that additional chores such as mowing, weeding, folding laundry, vacuuming, and such are excellent substitutes for additional doses of homework. Unlike you, if I have cause to not permit personal electronic devices, it’s for the whole day – no exceptions – cuz I’m really mean. Just ask my male-type children. They’ll tell you. I think we have found a replacement for Erma Bombeck!!!! As a teacher and a mom, I thoroughly enjoyed your logic! Thanks for being so funny! awesome! do you take “furbabies who jump onto counters” and “furbabies who eat inedible items” at this very special school? perfect. A day home from school should be at least as, if not more, demanding than a day AT school when a suspension happens. Otherwise, it gets to be fun to be suspended. Jan, I’m sorry you’re having this experience! But SO glad you wrote about it! Since I have 3 daughters, I haven’t experienced this particular offense. However, about 21 years ago, when my youngest was 5, she had been sentenced to some time in the upstairs hallway corner for some infraction. As I was walking by, she kicked out her foot and said “Stupid!” What followed was totally automatic – I didn’t think about it for a minute, even though I had never administered this punishment before. I put her under my arm, carried her into the bathroom, and shoved a bar of soap in her mouth and made sure she got a good taste of it. Unfortunately for her, her next-older-sister had a friend over at the time, and they came running to watch and see what was going on! Julie assures me that she’ll never forget this incident and has disliked Palmolive green bar soap ever since! She’s a 4th grade teacher now, by the way…. Heeheehee…. I commend you, Jan!!! You are my kind of mom! I loved the humor but I’m sure the son didn’t!!! 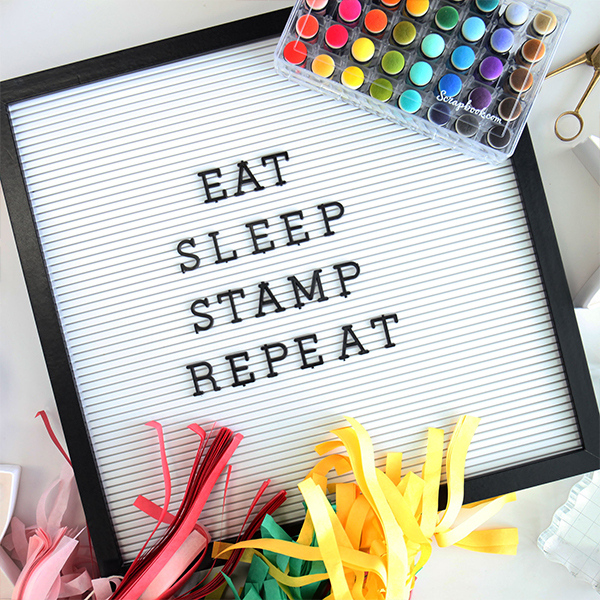 Keep up the great work–in the MOM area & your beautiful cards & projects! YOU GO GIRL!!! So nice to hear someone else who is a “MEAN MOM”. Good job staying on him and not letting up. You go, girl! It’s so hard to keep the good attitude and patience during a time like this, but it sounds like you have a great handle on the situation. Thanks for taking part in raising responsible adults, because we know what happens if the kids haven’t had careful training at times like this. Hang in there, GF! Hang in there Jan! Consistency is the key in good parenting and it sounds like you are on the right track! Good for you for not taking the easy route! Even if it makes more work for you, it will be worth it in the long run.We have a 21 year old that is going into his last year of college. We had some very challenging episodes with him along the way,but he’s turned into a fine young Christian man who wants to be a High School Band Director. Stick to your guns, girl ,and I will keep you in my prayers! That is just too funny. Thanks for sharing the info on your school!!! Seriously hilarious! I appreciate not only your sense of humor, but as a teacher for 7 years before having kids, I appreciate what you’ve done with the day! Oh my, you had me rolling on the floor! Fortunately for me I’m pretty sure I’m a few years away from needing my own franchise! Let’s hope I’m write! Jan, Thanks for sharing your day with us. I’ll remember MSCWF just in case one of my 2 male children decides to do such a thing. It’s funny for me to read through, I’m sure not so fun for you. Jan – Thank you so much for the advice on how to deal with this. While my DS has not learned this yet, I now know how to handle the situation if and when it arises. I also think this will be good for other types of suspensions as well. And, thanks for the chuckle – while I am sure you did not find it humorous at the time – you handled this extremely well and have offered other moms a wonderful teaching moment. My kiddos have never had wayward fingers except for one time last year when my DD was 6 yrs. old. On the way home from school in the car she said “momma, somebody told me that if you do this (wayward finger sign) that it means you hate God”. I told her that was true (a little of that kind of fibbing won’t hurt, will it? ;)) and that she should never do it. She hasn’t and neither has my DS. BUT, if they should in the years to come, I will put this post up and follow your directions to a tee! Hysterical!! Good Mom…a lesson not soon forgotten! With love & respect, not even knowing you personally!! Oh, Jan, you forgot “HOME EC” well, at least the hobby version. I would have thrown in a KNITTING lesson, just to keep that little bird busy! PLEASE come to my house!! Thanks for the smile that may have to get me through the day because of struggles with my own son. Worse than having a wayward finger at school, my twelve year old son had a wayward finger at Wendy’s, while stopping there to eat with his church’s confirmation class! Unfortunately the wayward finger was pointed at his youth director, who was not amused and child is now not allowed to participate in youth group activities for a while. Me? I may never be able to show my face in church again. He did this last Sunday, so I may sleep in on Memorial Day. His father teaches Sunday School and has to go, however, so it may be a father and Son day of togetherness. I cannot tell you how mortally embarrassed I am. I would like to join a different church now, but I fear none will take me in. I have just finished my school year. I teach fifth grade and I feel beat down this year. Thank you for reminding me that there are good parents out there! I would love for you to come to our private school and give this class to our parents!! Keep up the great work! Fantastic! I echo all that has been said, especially as a middle school teacher. I go now to send this to my daughters who both have sons. Thank you for humorous words of wisdom! I’ll give you the magic line that we used with my younger daughter when, as a toddler, she had a tendency to point with any available finger: “Tall man cannot stand alone; tall man needs a friend.” Worked like a charm! you are hilarious! I love your sense of humour 🙂 thanks for making a good day great! I agree with Laura L – We have found a replacement for dear Erma Bombeck! PLEASE keep your wonderful sense of humor, you are awesome! Jan, I have one suggestion to add to the school’s curriculum. My older son was suspended one time – and never wanted to repeat the experience of his Mom’s School for Wayward Children. After the homework and other things, I gave him a bucket of warm soapy water and an old toothbrush. He had to scrub the baseboards of the entire house with the toothbrush and water. It’s a chore I never do (dusting’s fine for baseboards for the most part) so it wasn’t like I was punishing him with cleaning chores, since that wasn’t the message I wanted to send (i.e., that cleaning is a punishment, it’s part of being a family and living in the house). Anyway, just thought I’d make the suggestion in case you have a repeat performance of bird-launching.